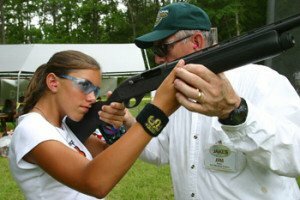 Gun safety is the number one subject for gun owners and gun enthusiasts to familiarize themselves with. It is the most important subject in the world of guns because, quite simply, being well versed in gun safety can save your life and the lives of others. We covered the most important rules of gun safety in our gun safety rules feature, and we highly advise that any responsible gun owner review the rules in full. However, different guns do in fact require different safety measure, as different guns’ function differently and serve different purposes, while also coming in different forms, shapes, and sizes. 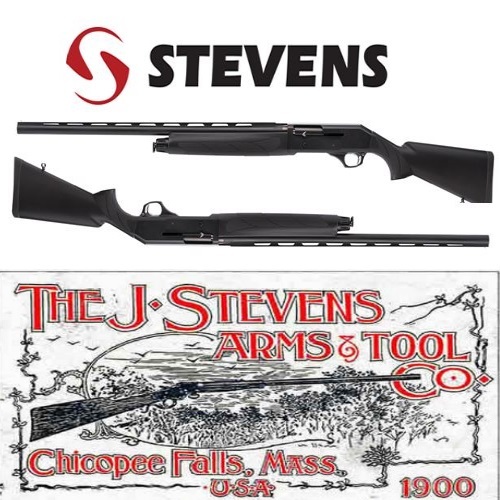 Shotguns in particular are one of the most unique and specialized kinds of guns, and as such come with their own safety features, concerns, and considerations. Firing a shotgun is an experience like no other. 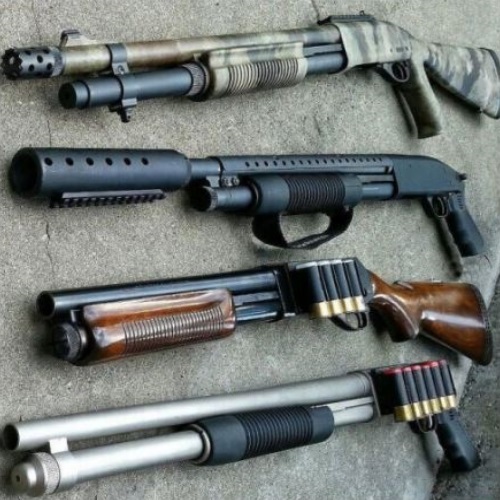 One of the most distinctive difference in shotguns as compared to other guns, and especially handguns such as the Glock 19, is the prevalence of shotguns being carried in a ‘slip’. 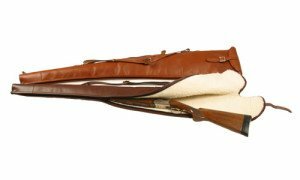 Shotguns are on the larger side in terms of length and weight as far as firearms are concerned, and as such, a slip, or portable case, is usually utilized to help carry the shotgun when not in use. It’s important to remember that in order to prevent a shotgun from falling out of its slip, the barrels should be kept down and the stock up when it is being carried over your shoulder. 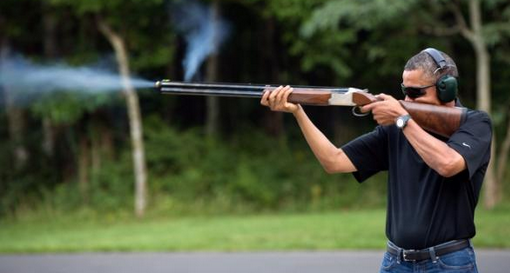 Additionally, a shotgun should be opened before it’s taken out of its slip in order to make sure it is not loaded. Also, always make sure to check that the barrels are clear while the gun is pointed in a safe direction – never under any circumstances point the barrel end of the slip at anyone! Shot May Travel Further than IntendedOne of the strongest characteristics of a shotgun is that ammunition, or shot, fired from a shotgun generally does not travel very far. Shotguns certainly have far less range than that of a handgun, rifle, or most other kinds of firearms. However, with that being said, it is not a good idea to underestimate the range of your shotgun fire. Never assume that because you’re using a shotgun, people who are a certain distance away from your firing are necessarily safe. Always make sure that there is no possibility of any person coming even close to your gunfire when recreationally shooting or hunting. When carrying your shotgun out of the slip (if you’re missing a slip or preparing to shoot), make sure to carry it unloaded, broken, and over the crook of the arm – not slung over your shoulder or in any other way. Never under any circumstances rest the muzzle on your feet or any other body part. Always make sure to pass the shotgun stock first, and only after making sure that the firearm is unloaded. Crossing Obstacles with a ShotgunWhen travelling with a shotgun, if you encounter an obstacle that needs to be crossed, you always need to make sure that you break the gun and remove the cartridges before closing the gun against or through the obstacle to ensure that it will not fall. Retrieve the shotgun after clearing the obstacle using proper muzzle awareness. If clearing an obstacle with a friend, make sure both guns are broken and unloaded and held by one person while the other clears the obstacle. The guns should then be passed to the other friend while the remaining friend clears the obstacle. Travel with the Breach OpenWhen carrying the gun, always travel with the breach open in order to make sure that there is not a shell in the gun ready to fire. One needs to be sure at all times whether or not the gun is loaded, and leaving the breach open helps make that step a lot easier. 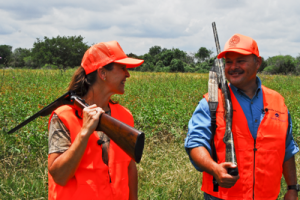 Lastly, it’s vital to remember your general, all-purpose gun safety when carrying and operating a shotgun. This means that you should always treat the gun like it’s loaded, keep the gun pointed in a safe direction, keep your finger off the trigger unless shooting, wear proper ear and eye protection, keep your safety on, always store your guns properly, and keep your gun unloaded when not in use. Additionally, make sure you learn all that there is to know about your shotgun in order to make sure you are taking all of the precautions possible – it’s important to remember that additional safety measures are never excessive when it comes to gun safety, as safety always comes first! Follow these rules of shotgun safety and you should have no trouble at all keeping safe with your favorite shotgun! Again, be sure to check out our top rules of gun safety and be on the lookout for our rules of rifle safety feature, too.